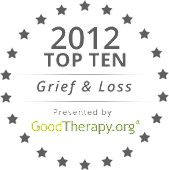 So, if it makes you feel better, there is a reason your grief felt compounded by the lack of respect you experienced. Grieving a friend is not acknowledged in the same way as grieving a family member. It’s up to all of us to let those around us know the importance of our friendships and the depth of our grief. Then and only then will grieving a friend receive the respect it deserves. My sister lost a friend in a fire, and I think she experienced some of this disenfranchisement--our definitions of "family" can be so constricting. Just today an elderly friend of mine was describing how her aunt committed suicide in the 30's, and the woman's best friend wasn't permitted to attend the funeral because the uncle wanted "no outsiders" there. What a story, Margaret! To be considered an "outsider" by your best friend's family...how sad. Thanks for sharing this. I love this post! And I understand precisely how that feels. You don't think you have a right to grieve too much when a friend dies, especially when they leave behind a wife and children and you know they're going through so much more. Angela, you hit the nail on the head: you don't feel you have a right to grieve. You compare your grief to what others are feeling. We should always feel free to honor our friends by grieving the loss. Thanks!